Jon Heath : Is Jammer's Signing Bad News for Adams? Is Jammer's Signing Bad News for Adams? 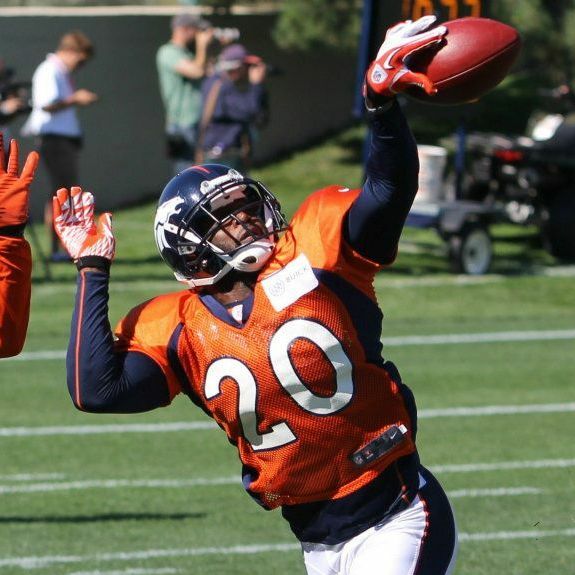 Earlier this offseason, the Denver Broncos were briefly linked to free-agent defensive back Antoine Winfield. More recently, the team brought in veteran safety Charles Woodson for a visit. Winfield went on to sign with the Seattle Seahawks and Woodson signed with the Oakland Raiders, where he is in a jersey number dispute with cornerback Tracy Porter over No. 24. That was two strikes for the Broncos, who landed their third target, Quentin Jammer. Jammer signed a one-year contract with the Broncos on Wednesday and according to CBS4 Denver, Jammer will play "primarily" at safety. With so much interest shown at safety, the Broncos were clearly looking for more depth at the position, or perhaps and upgrade. This all sounds like bad news for Mike Adams, who joined the team as a free-agent last summer. Adams started in all sixteen games for the Broncos in 2012, recording 80 tackles, a sack and forcing two fumbles. At age 32, Adams is entering his eleventh season. There will be tough competition for Adams' job this summer from returning safeties David Bruton and Quinton Carter, first-year player Duke Ihenacho, rookie Ross Rasner, and recently-signed Quentin Jammer. Bruton figures to have a roster spot locked up after signing a three-year deal with the team in March. Carter is a dark horse to watch. After a solid rookie season and phenomenal performance against the Pittsburgh Steelers in the 2012 playoffs, Carter missed most of last season with injuries. Meanwhile, Rahim Moore has the other starting safety job all but locked up. Although Moore is likely wishing fans still remembered him by the play that made him famous locally rather than the play that put him on the map nationally, he has little to worry about going into training camp. Moore improved from his rookie campaign last season and was recently dubbed a "Secret Superstar" by ProFootballFocus.com. Moore will have competition, but he is in no danger of being released. Adams, on the other hand, has been put on notice. It's time for the 32-year-old veteran to step up or ship out.